The Founding Fathers were dedicated to protecting the rights of criminal defendants. This was based on their experience with the tyranny of the British Empire. The British King and legislature, called a Parliament, oppressed the colonies and restricted individual liberty by infringing on the independence of the courts, and by employing scores of aggressive, ambitious prosecutors. Thes concerns comprised one of the major parts of the Declaration of Independence. Here, Thomas Jefferson discussed the court system under the British King, and why it was being corrupted. He stated that the British King: "has obstructed the Administration of Justice by refusing his Assent to Laws or establishing Judiciary Powers," and furthermore, he has "made Judges dependent on his Will alone for the tenure of their offices, and the amount and payment of their salaries." After they won the American Revolution, the Founding Fathers remembered their recent history and they decided to never let such abuses happen again. In this light, they drafted the Constitution and the Bill of Rights. The former was dedicated to restricting the power of government (especially the ability of the Executive and Legislative branch to infringe on the independence of the judiciary) and the latter, in many ways, to restricting the power of prosecutors. They felt this was important, again, because prosecutors were often hired and/or appointed by the executive and legislative branches. They enforced the legal interests of governors or legislatures, and the Founders realized that because this could result in abuse, such powers had to be limited and the rights of defendants protected by law. 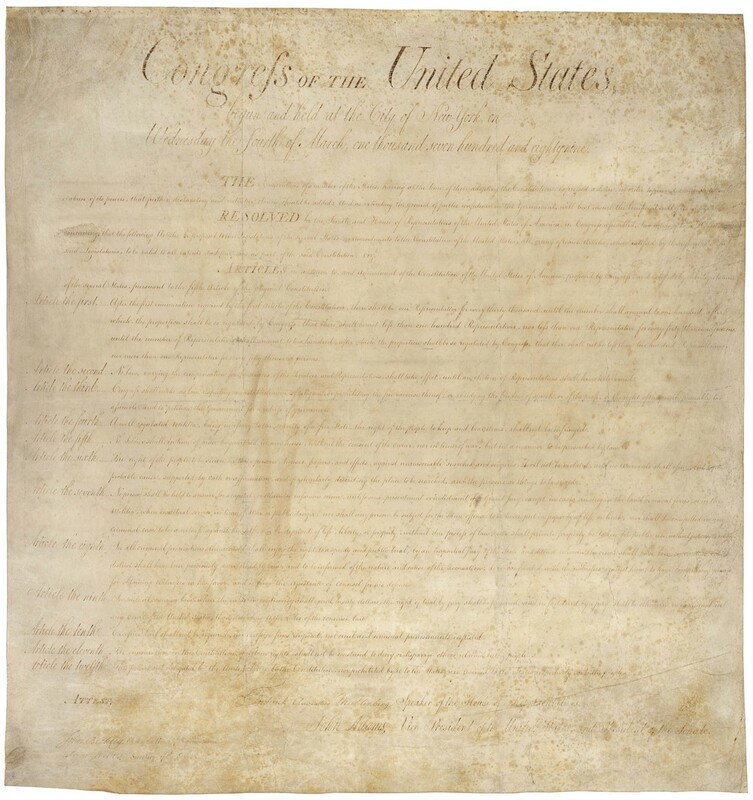 Indeed, if you analyze the Bill of Rights on a clause-by-clause basis, its clear that its primary purpose is to clarify the rights of criminal defendants in order to protect them and their rights against the infringements of prosecutors, executives, legislatures and hoards of angry citizens who, in a frenzy of popular passion, would dangerously put "public safety" and "popular opinion" ahead of "individual liberty" and "natural rights." These rights form the bedrock of our inherent, inalienable democratic rights as Americans, rights for which hundreds of thousands of American soldiers have fought and died. These rights must be upheld and respected by all branches of our government, including prosecutors and the courts. There's a famous story about the young John F. Kennedy. As a young man in the 1930s, he took a grand tour of Europe and stopped for a few weeks in Nazi Germany. While there, he had coffee with a high ranking Nazi policeman. The policeman mocked the American justice system. He told JFK that in Nazi Germany, they would rather put 10 innocent men in jail for life than take the risk of letting one guilty man go free. JFK was horrified. He said that in America we'd rather let 10 guilty men go free, than risk putting one innocent man in jail. At least that's how our system was initially supposed to work. Sadly, that is no longer the case. Sadly, in modern times, too many people forget about or are too scared and intimidated to exercise their constitutional rights. Too many cave-in during coercive interrogations, take plea bargains they perhaps shouldn’t have, or enter into complex discussions/procedures with prosecutors or police without the assistance of a competent and dedicated attorney. The Bill of Rights says that guilt must be proven “beyond a reasonable doubt.” This is a high threshold. Under it, the judge or jury must be 95% certain that one is guilty of criminal conduct. This is a very hard burden for the state to meet. Proving such cases can oftentimes be difficult and yet, very few Defendants ask the state to prove their case. Sadly, some Defendants are still convicted of crimes they did not commit. Had they known about and exercised their rights, they might have experienced a different outcome. The system does work. But like any complicated machine, you need to follow the instruction manual. When it comes to the justice system, this often means you need to sit down with the right lawyer and discuss all the facts, documents and evidence in your case. As a skilled attorney, I will patiently go through this evidence with you and will honestly advise you about your options. If a plea-bargain is your best option, then that’s the route we’ll take. However, the choices you make should be based on your desires and interests, not mine. If your interests require that we take the “hard route” rather than the “easy road," then I’ll be by your side every step of the way-- no matter how long it takes. If you live in these areas, or any other area of South Jersey and are facing criminal or disorderly person charges, then contact my office immediately for a free consultation. I treat every client with extra-special care and go over the evidence and facts of their case, in-depth, so that no stone is unturned in their legal case.